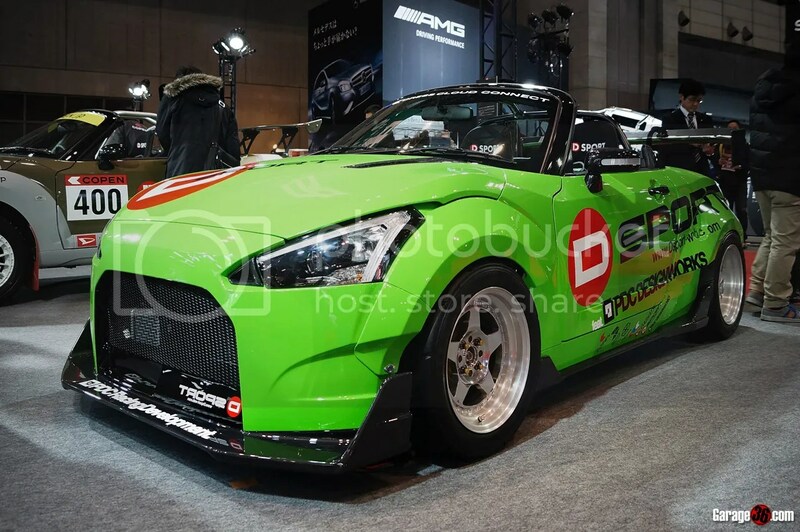 Posted on February 2, 2015 January 17, 2019 by Louis S.
Every year at the Tokyo Auto Salon, there will always be a particular car or model that will be given a little bit more focus to make it one of the standouts of the show. 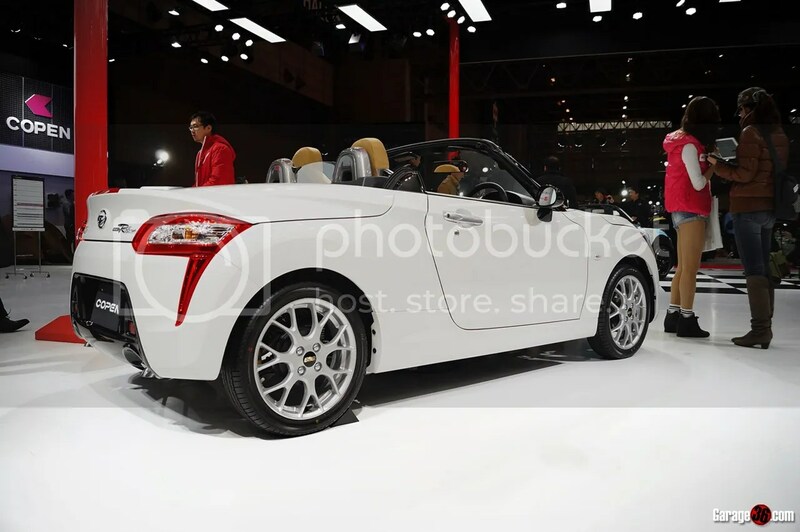 Years ago, it was the mighty R35 GTR while last year, that coveted spot went to the Toyobaru twins. 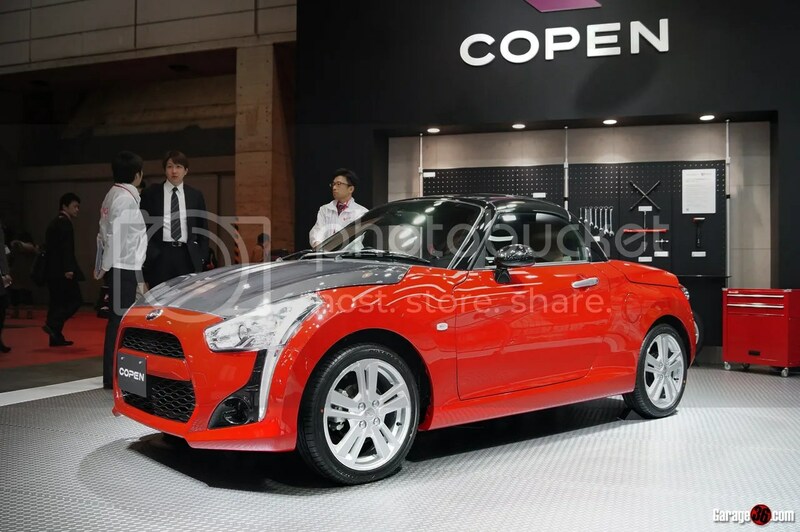 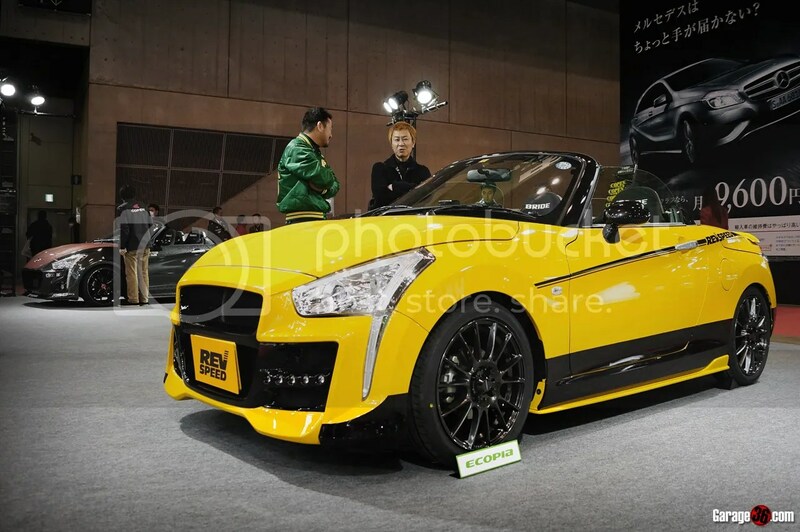 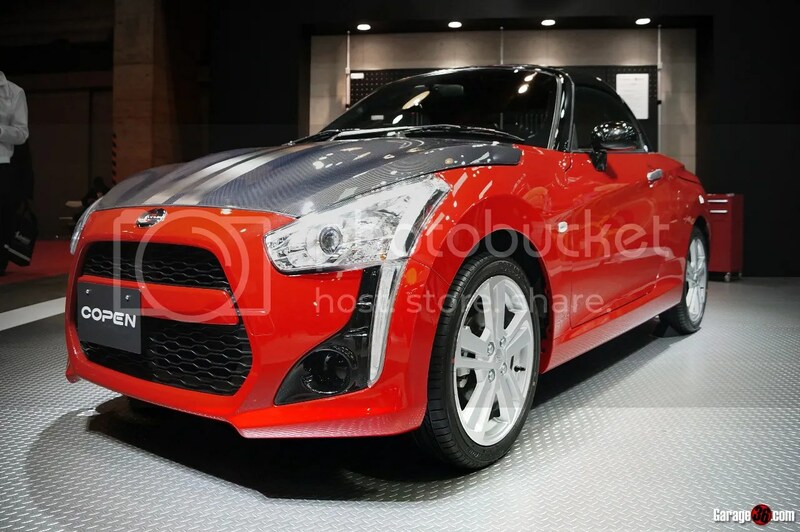 This year, it seems the spotlight is now on Daihatsu’s newly launched sequel to its hit little Kei-roadster, the Copen. 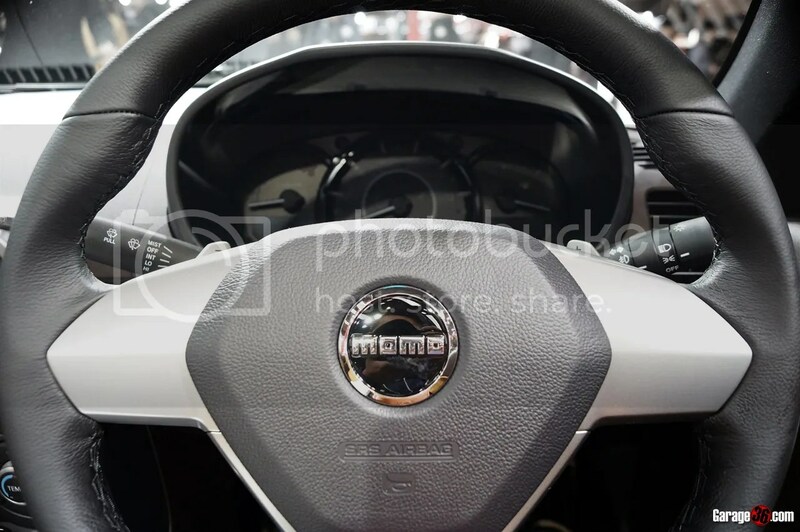 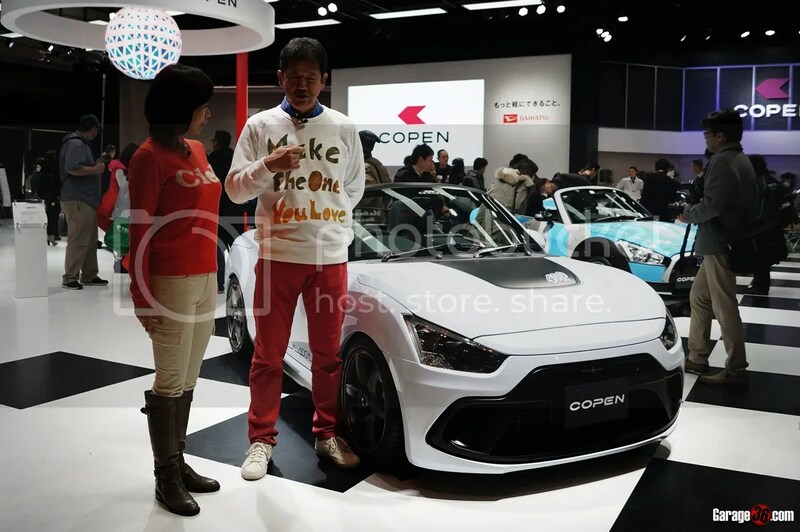 Taking a step away from its retro-inspired (and some say cutesy) predecessor, the new car’s design is much more modern and fresh with a more sporting intent. 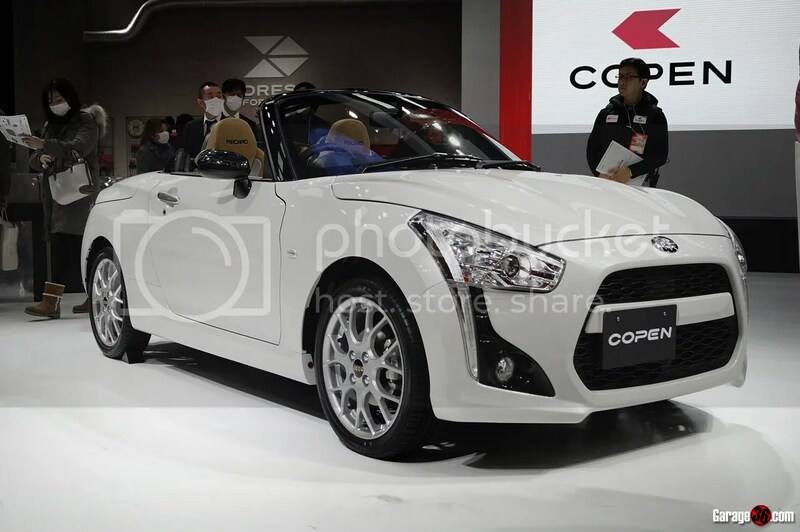 For the new Copen, a newly developed frame and mono-coque construction called D-Frame is used, where the car’s external parts give it support and stability. 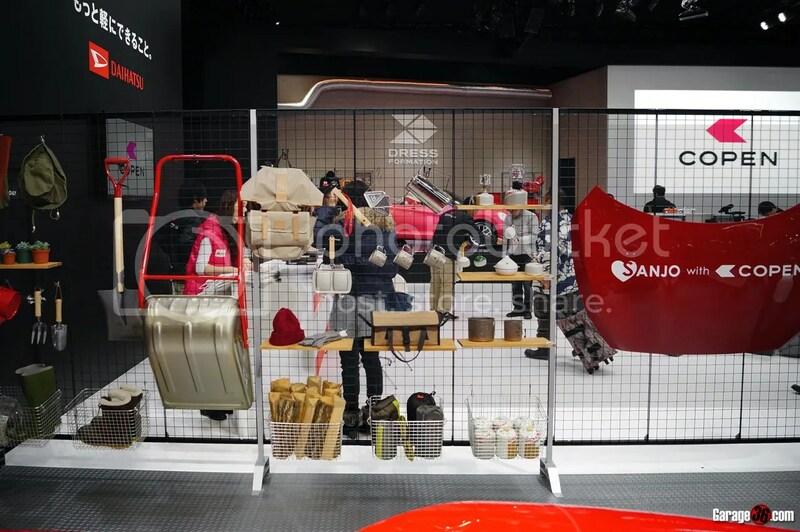 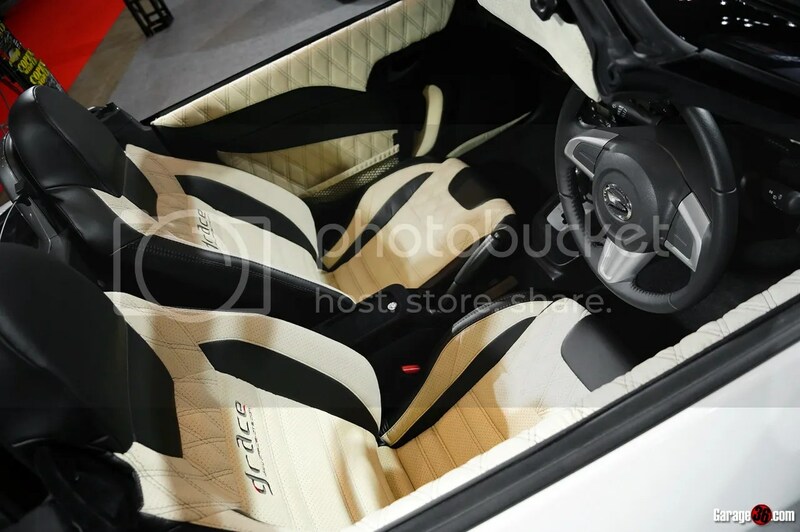 It also features detachable interior and exterior pieces in a concept called DRESS-FORMATION through which you can customize up to a maximum of 11 parts of the car including the front hood, luggage area, front/rear bumpers, front/rear fenders, locker, and fuel filler lid. 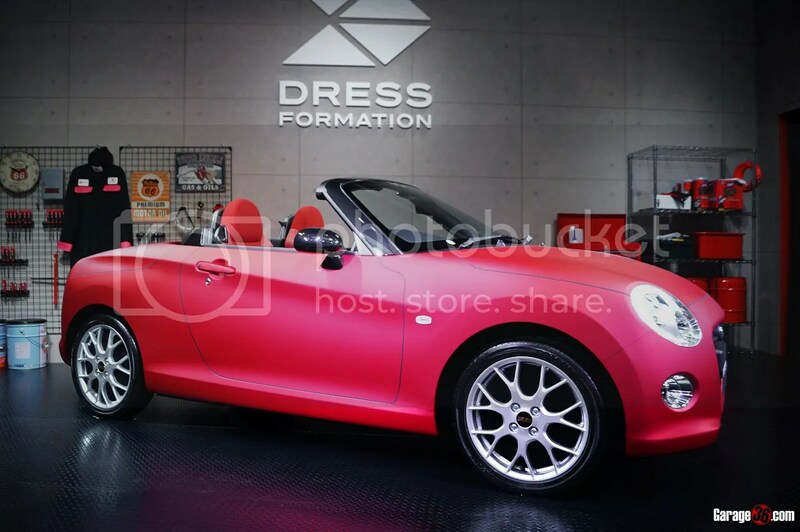 Unlike some manufacturers (or politicians) which might be slightly hesitant to let aftermarket tuners take apart their newly launched cars, the same cannot be said for Daihatsu which have totally pulled out all the stops to embrace the customization aspect of their new car to attract young people back into cars once again. 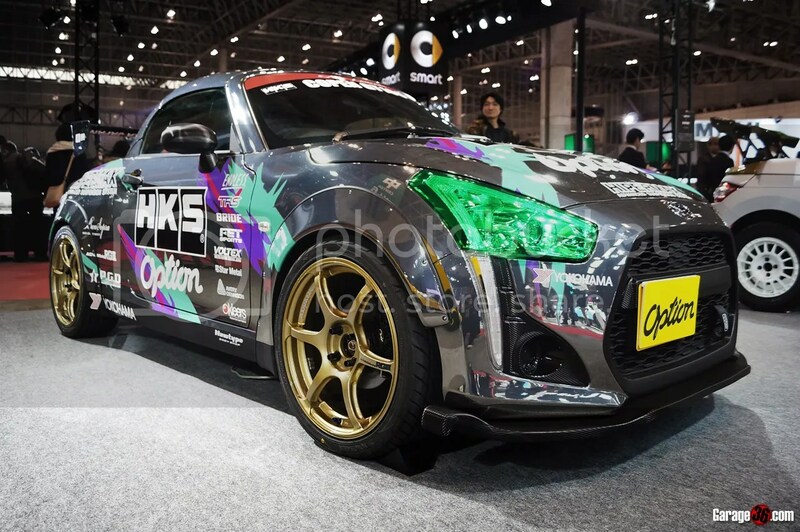 Be it small OEM personalization options for new owners or full on builds from a myriad of aftermarket shops. 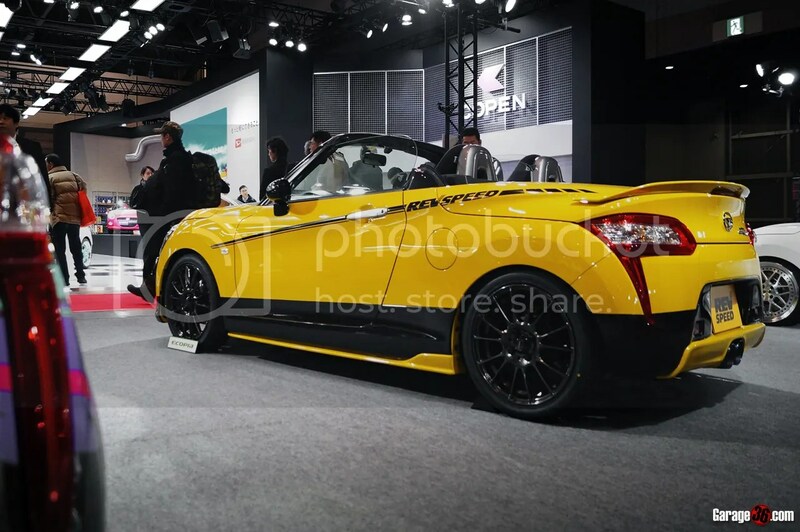 To showcase the variety of ways the new Copen can be “enhanced”, Daihatsu have not just added and showcased in-house derived show cars but also invited a number of aftermarket tuners and even some publications, to put their own personalized touches to this new roadster. 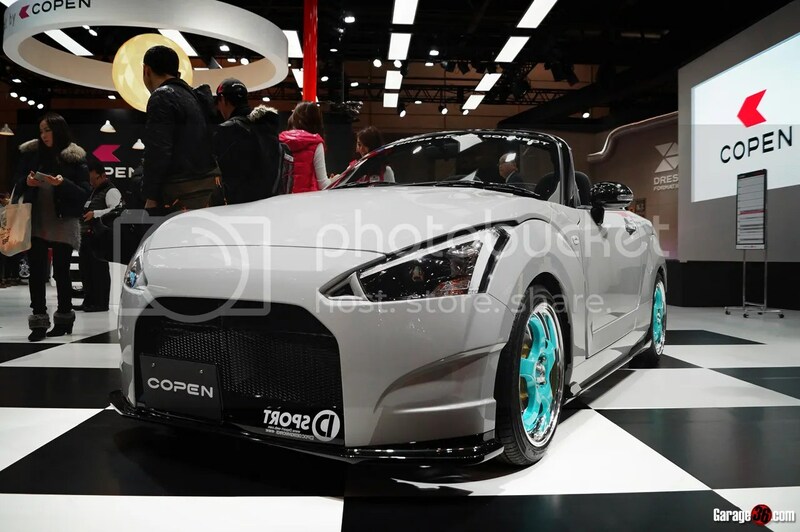 The results of such an exercise as you can see, is pretty cool with as each shop coming up with their own intepretation for the cheeky little Copen. 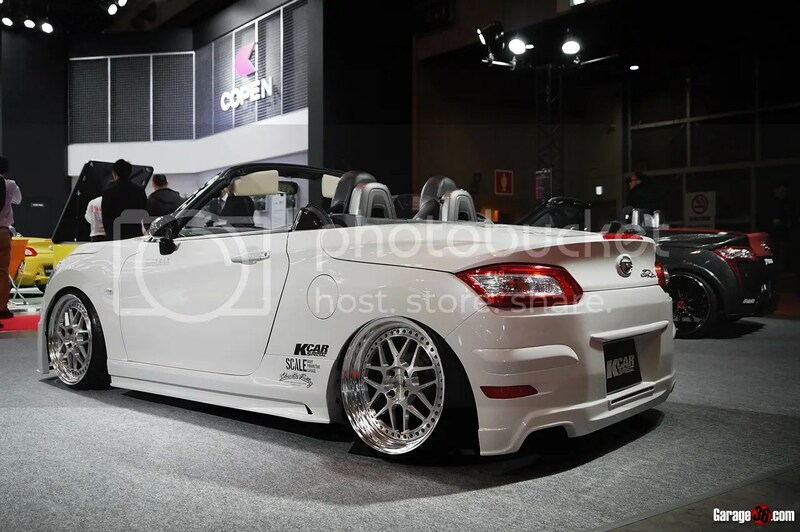 …And K-Car Special Magazine’s K-Break equipped VIP style build. 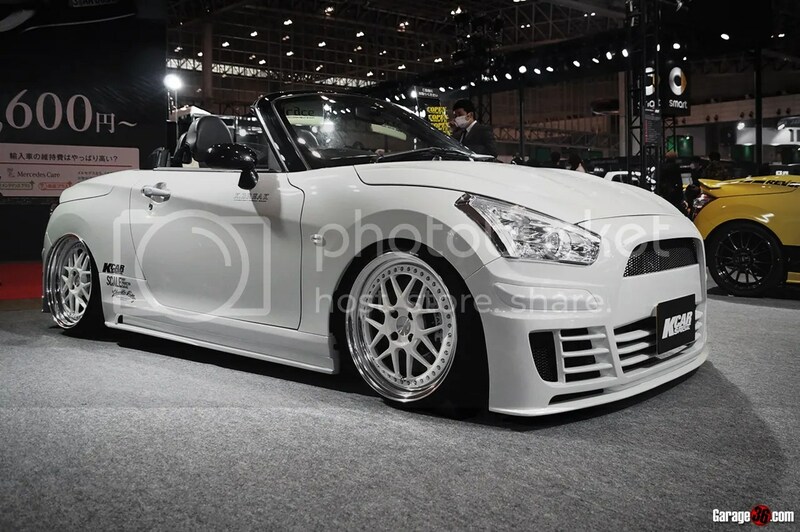 Keeping it clean and simple but with some nice attention to detail in its simplicity. 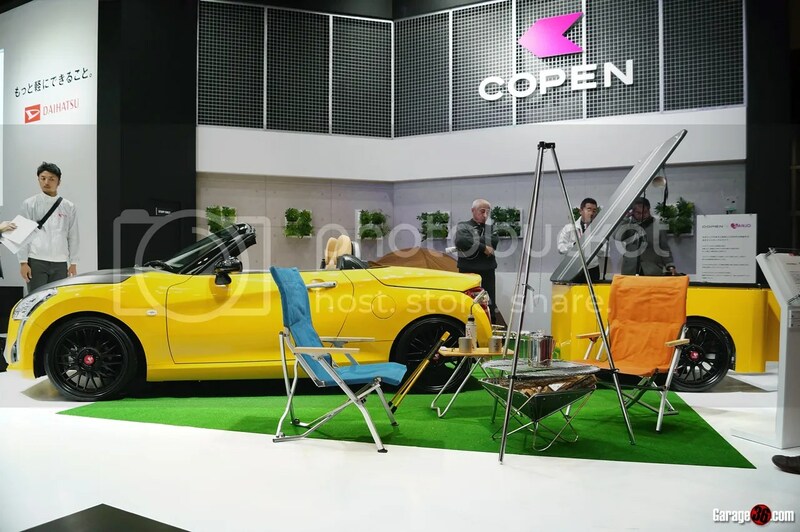 With so many different builds already on show for a car that’s just launched, it will be interested to see how much more the aftermarket scene for the Copen will develop. 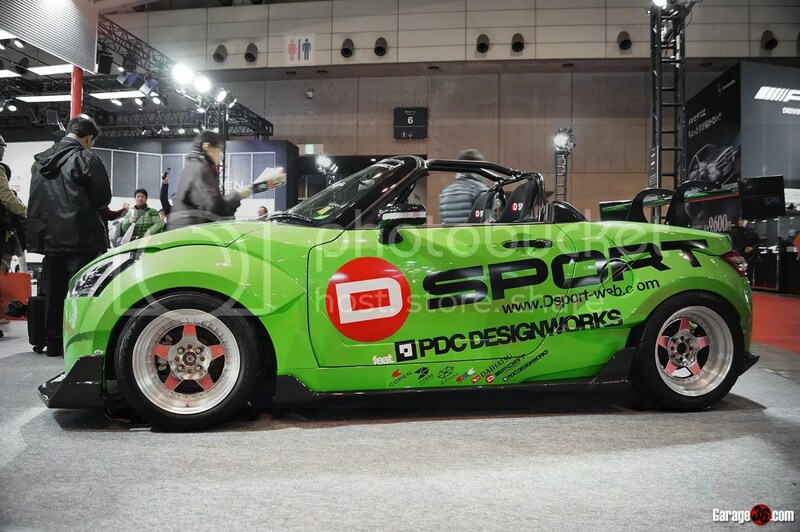 Check back again next year i guess!